We encourage you and your family to meet with us. A typical consultation lasts about an hour. This informal meeting allows us to start getting to know each other and see if we “click”. During this time we’ll share our experiences, explain available services, and give you time to ask questions. 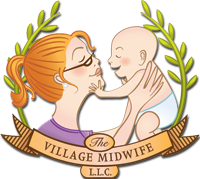 The cost of this visit is $50.00, which will be taken off of your total homebirth fee if you choose to use our services.